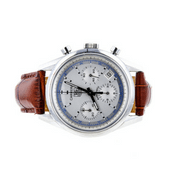 If you have a TAG Heuer Formula 1 watch that you want to sell, you probably want to be sure that you are getting the best possible price. This means that you will need to get an evaluation and try to find a buyer that will offer you the price you want. 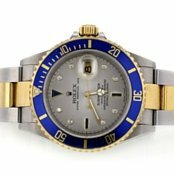 Selling your watch by yourself can be stressful and time consuming but Worthy can greatly simplify this process. 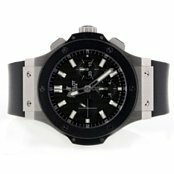 We provide evaluations, and access to an established network of buyers that are ready to purchase a TAG Heuer Formula-1. It has never been easier to sell TAG Heuer Formula-1 watches than it is with Worthy. 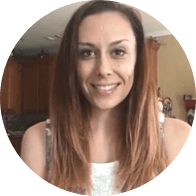 Our buyers are legitimate; the offers are fully backed and we provide you with a real deal. Selling a TAG Heuer Formula-1 does not have to be a stressful process. Worthy is here to do the work and get you more. 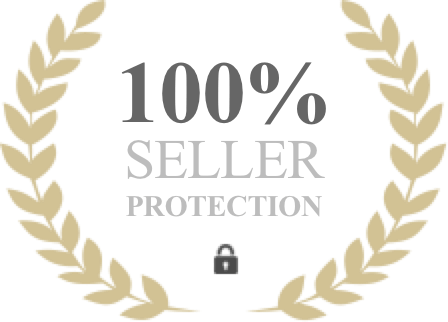 Worthy.com is trusted by buyers and sellers the world over and we take great pride in being an established and credible online auction platform. Our partner watch experts have decades of experience in the industry with a nearly 0% margin of error. If you accept the offer, payment will be sent to you via check, wire transfer or PayPal. When you sell a TAG Heuer Formula -1 at Worthy, you will be able to check the status of your auction throughout the entire process. Ours is a name you can trust as we offer all the credibility, transparency and security you expect from a high-end online auction platform. Don't believe us? 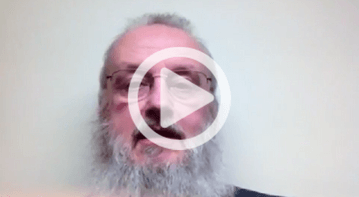 Thats ok, see what Worthy clients have to say here. There are a number of TAG Heuer Formula 1 models including the newest version that was released in 2014. The new 2014 Formula 1 has a unique mechanical automatic range to supplement the quartz offerings. TAG Heuer has experimented in the last few years trying to determine what features will be permanently offered in these models. The TAG Heuer Formula-1 is an excellent entry-level quartz watch which has a variety of unique dial designs. A great many other changes were made and some did not make it into the 2014 Formula 1 model. One of the best features of the Formula 1 watch is that it appeals to a larger clientele and is a great sport watch for most every type of customer. The design of the Formula 1 is decidedly more masculine, more mainstream and more focused on the racing aspect of the watch. The 2014 Formula 1 model offers two different movement options – the Formula 1 Calibre 6 Automatic and the Formula 1 Calibre 16 Automatic Chronograph. The Calibre 6 features a smaller case than the Calibre 16 and both are available in a PVD or brushed black-coated steel case. The dial is markedly different to previous versions of the Formula 1 but the modern design of the watch has proven to be popular. TAG Heuer was founded in 1860 by Edouard Heuer who founded Uhrenmanufaktur Heuer in Switzerland. The first chronograph that was patented by Heuer was in 1882. In 1887, Heuer also patented an oscillating pinion that can still be found in many mechanical chronographs. In 1911, the first dashboard chronograph called ‘Time of Trip’ was patented. This chronograph was created for aircrafts and automobiles. It features 2 big hands that were attached to a center pinion. This indicated the time just like a traditional clock. The pair of small hands showed the duration of the trip. The user could also set the time with a top-mounted crown and there was a button on the crown to reset, stop and start the trip duration timer. The first wrist chronograph from Heuer was introduced in 1914 and the crown was at the 12:00 position because they were created based on the design of pocket chronographs. The Heuer Micrograph was introduced in 1916 and it was the first stopwatch that had an accuracy of 1/100 of a second. The next stopwatch that was launched was the Semikograph and it had a 1/50 of a second accuracy along with a split-second function. The Autavia was introduced by Heuer in 1933 as a dashboard timer for aviation and automobiles. The Hervue companion was a clock that had the ability to run for 8 consecutive days without the need to be wound. Between 1935 and 1940, Heuer created chronographs called Flieger which were for pilots. Early versions of these chronographs had a hinged-back case as well as a pusher for reset, stop and start. The later version had a snap-back case and another pusher was added for the time-out and time-in functions. All of the Flieger chronographs have two-registers with a 30 minute capacity. By the middle of the 1940s, the line of chronographs manufactured by Heuer expanded. This expansion included three-register and two-register models along with a three-register chronograph that had a complete calendar. The most significant development for Heuer during this time was the triple calendar chronographs. These were available in 14, 18 or 22 carat gold cases as well as stainless steel. The dial colors were copper, black or white. 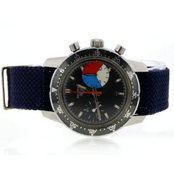 The company TAG acquired Heuer in 1985 and the modern TAG Heuer brand of watches was born. Worthy spends a great deal of time compiling pertinent data about luxury jewelry pieces. 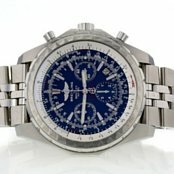 Our goal is to offer buyers and sellers an interesting mix of history, insights, and characteristics of their watches. With TAG Heuer Formula-1 watches, you know that you are part of a long standing tradition of excellence in timepieces. 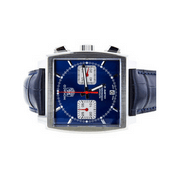 We can help you to sell your TAG Heuer Formula-1 for the highest possible market price. Our evaluators will get to work as soon as we receive your watch. We make it easy for you to get paid – no fuss and no delays. List your TAG watch today!